Very sleek and modern, appearing much like a bullet, and with a shine of burnished aluminum, the Reading Crusader was a stamp of authenticity for locomotives that were operated by the famed Reading Railroad. The Crusader had been a streamlined express that was run on a 90.3 mile route from Philadelphia’s Reading Terminal to the Jersey City’s Communipaw Terminal. There was a ferry connection to Lower Manhattan. The Reading Railroad provided this service in partnership with the Central Railroad of New Jersey (as well referred to as CNJ), in which it had been the main order of the capital stock. The trains operated over CNJ tracks for 30 miles from Jersey City to Bound Brook, and over the Reading System that was 60 miles from Bound Brook to Philadelphia. The train had first been operated by the Reading Company as being the railroad’s premier express. A contest had been held to discover a name for the new train, with a $250 cash prize offered for the winner. When Mr.P.W Silzer of Plainfield entered New Jersey by The Crusader, he won a prize that was selected by a committee of 29 railroad officials from amongst 6,086 proposals. The Crusader‘s first regular run was on the date of December 13, 1937. The train had been scheduled to make two round trips six days a week, and Sundays were reserved for maintenance work. The Crusader name was given to a pair of sleek locomotives that were built at the Reading Railroad shops. It was put into service during the time of 1937. The train would carry passengers between Philadelphia and Jersey City. 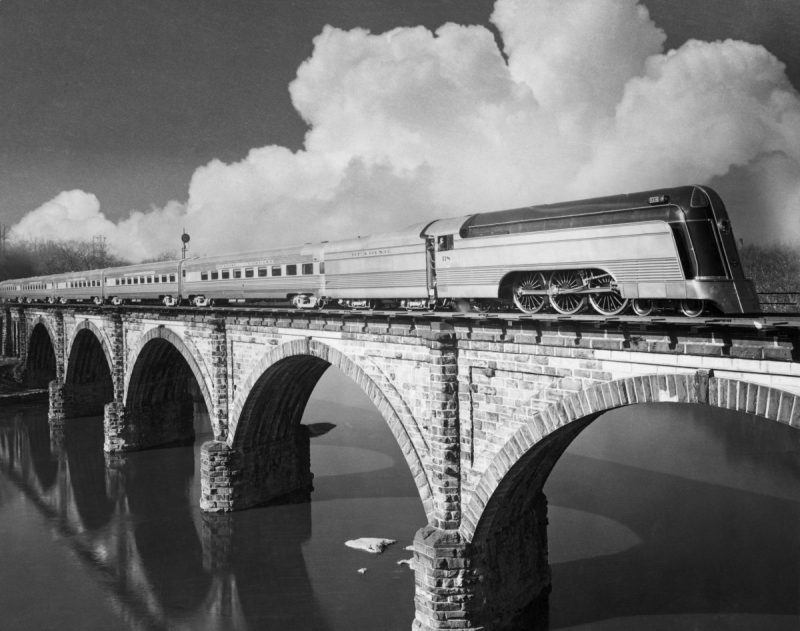 Being built by the Budd Company of Philadelphia, the first Crusader had been a five car stainless steel steamliner. By positioning the two round end observation cars on each end of the passenger cars, the railroad removed the necessity to turn the train around at terminals, instead needing to be turned around at the end of each trip. Two full coaches were bracketed to the tavern dining car that operated in the middle of the train. Also, corresponding to the stainless steel cars there were two streamlined Pacific Steam locomotives. Each of the locomotives had a specially created tender (coal car) that wrapped around the observation car directly behind it. The Crusader observation car at Strasburg’s Railroad Museum of Pennsylvania. During the early 1950’s, steam engines were being replaced by diesel-powered EMD FP7 locomotives. 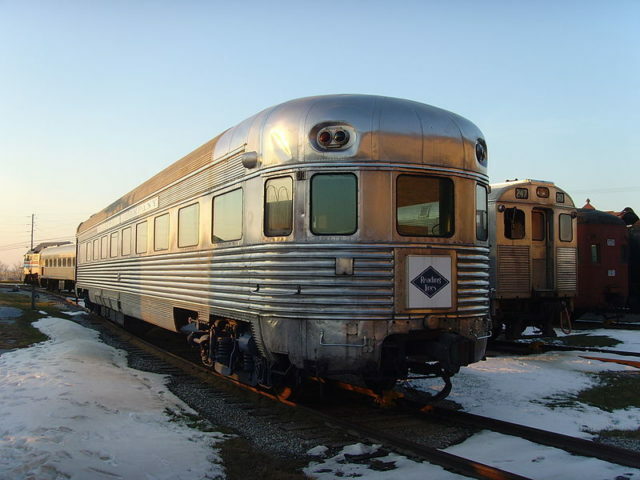 The five-car train that was consisting of stainless steel cars had been sold to the Canadian National Railway. The train then used smooth sided cars created for the other Philadelphia to Jersey City Reading train, the Wall Street. In the year of 1967, the Aldene Plan came into effect, which would close the Communipaw Terminal and deflected the trains to Newark Penn Station. The locomotive service met its end, and was replaced by two Budd RDC cars. The Hudson River Pennsylvania Railroad tunnels were not able to take diesel trains. The deteriorating track and additional stops meant the length of the trip went from being 90 minutes to 1 hour and 50 minutes. The service that operated through Philadelphia to Newark terminated on the date of July 30th, 1981. The service was continued under SEPTA from the years of 1976 until 1981. At that time SEPTA got rid of diesel powered trains with the imminent ending of the Center City Commuter Connection. The New Jersey Transit was taken over by the former CNJ commuter service. They operated one round trip each week day that was between Newark and West Trenton. At the West Trenton, links were made with the SEPTA electric MU trains to Philadelphia. This service ended on the date of December 3rd, 1982, the Transit shuttle’s final trip. NJT has explored restoring the service for its own West Trenton Line. Only two of the train’s original cars are known to have survived. One of the observation cars is in the collection of the Railroad Museum of Pennsylvania located in Strasburg. The other observation car had been in service as part of the Spirit of Washington Dinner Train located in Washington State until 2007, and is now currently part of the passenger car fleet of the Iowa Pacific Holdings.